In Vivo is a major agro-cooperative group, located in 29 countries, with 4 fields of experience: agriculture, garden and food retail, crop protection and animal nutrition. It has a strong strategy of innovation, with a major leitmotiv: urban agriculture, as a lever of safe and healthy food and human well-being. On the one hand, the group develops a huge urban project to link Paris Airport at the north, to the city center, including the transformation of thousands of hectares of land as a demonstrator of agricultural innovation. On the other hand, different products and services are created, thanks to strong R&D programs, so as to enable citizens to grow their own vegetables at home or at work. After years, the company left its headquarters in Paris center to join a tower in La Défense, well named “Carpe Diem”. Our mission: make the marketing promises of edible crops inside in the office building, so as to illustrate the strategy in the heart of the company and involve the staff. 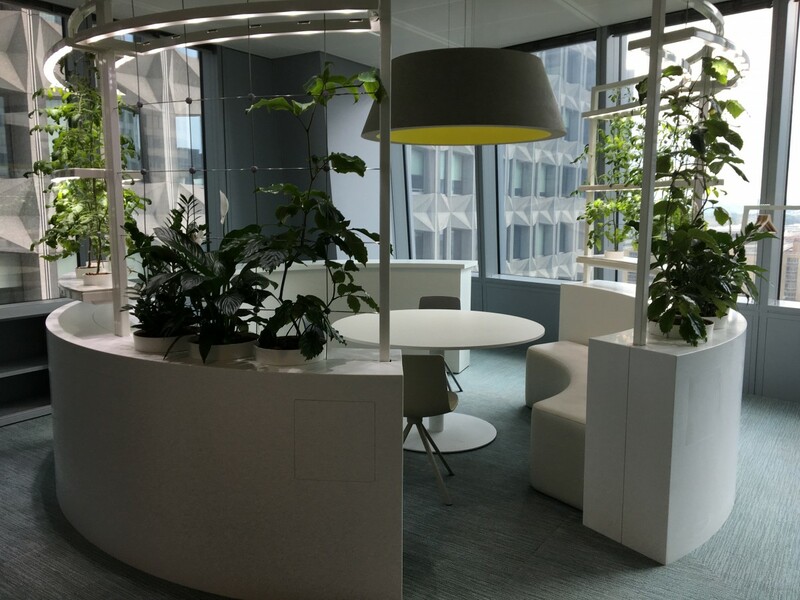 Our project: “In Vivo : indoor incredible corporate edible garden” is the first vegetable garden, included in work and rest areas inside an office building, in France and Europe. Our work: design, from the design of work and rest alcoves, including furniture to technical processes (irrigation – hydroponic system, fertilization and LED photosynthetic lighting), but also installation of the whole, the manual pollination of flowers, maintenance and crops. 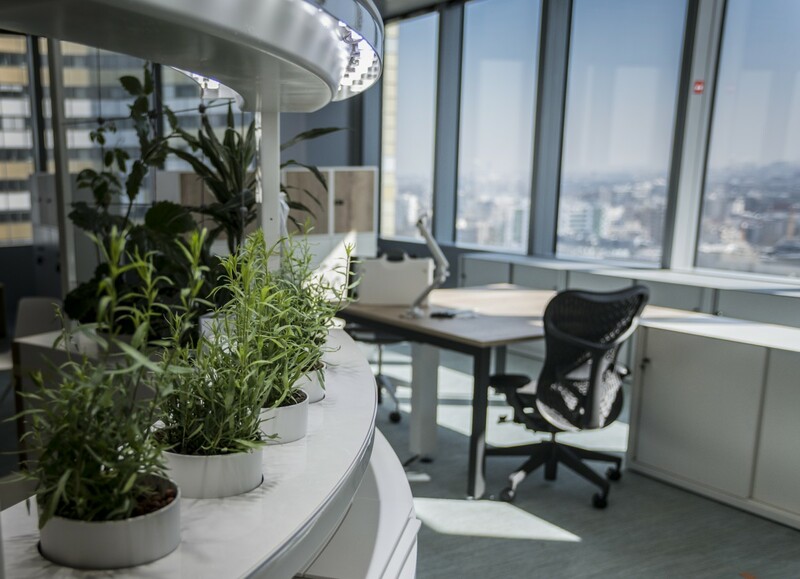 Each of the 5 floors has one of these living spaces, allowing employees to follow the growth and harvest aromatic plants and vegetables .We also organize workshops involving employees, as a pedagogy and team-building tool. 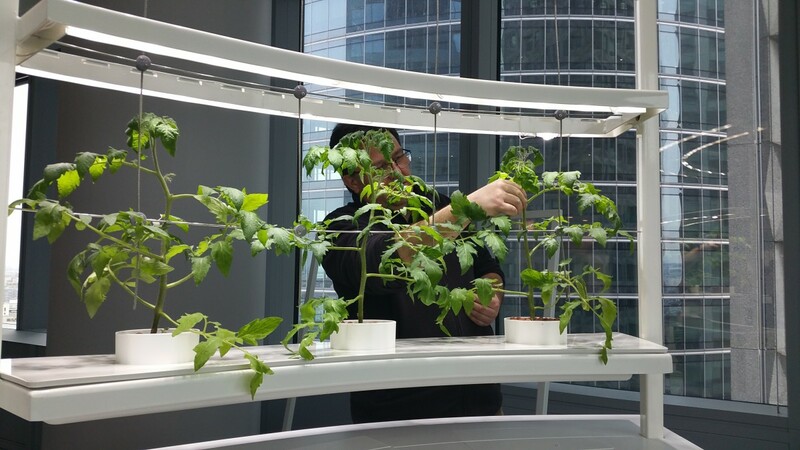 A concrete project, technological and design, an indoor ecosystem with flora and fauna, a global green thread around a gardener animator: an unprecedented innovation.